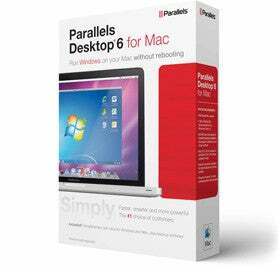 Parallels Desktop, many a Mac-user's go to solution for getting Windows on their Apple machine, just announced version 6.0, increasing support for 3D games and applications, enabling the same shortcuts work across operating systems, and making things snappier all around. The update will run current users $49.99 (it's $79.99 if you're buying it for the first time) and it includes over 80 updates in all. At the heart of things is a snappy new 64-bit engine—the company claims it improves 3D graphics by 40%, and it enables Windows to boot up 41% faster than the previous version. Those games—as well as music and movies—now get 5.1 surround sound, too.